← How is Technology Being Used to Improve Disaster Management in U.S. Cities? Can Ideas from Psychology Help Convince Homeowners to Invest in Energy Efficiency? For the last 30 years, experts have claimed that energy efficiency upgrades in existing buildings can lead to significant reductions in energy use, yet efficiency programs, particularly those geared towards households, have failed to meet expectations. Traditionally, these programs have tried to convince homeowners to invest in energy efficiency with information and financial assistance, aiming to overcome logistical and cost barriers to retrofitting homes. Nevertheless, many programs have failed to achieve significant rates of adoption. This approach overlooks the difficulty of actually completing a home retrofit as well as the complexity of human decision-making. Psychologist Jonathan Haidt explains consumers’ decision-making process using the metaphor of an elephant and its rider. The elephant is our emotional side, lazy and difficult to motivate, especially for future payoffs. The rider, our rational side, holds the elephant’s reins but is dwarfed by the animal’s size and has difficulty controlling it. Programs that aim to change peoples’ behavior need to direct the rider and motivate the elephant in the same direction. It is not enough to simplify the process and provide information. 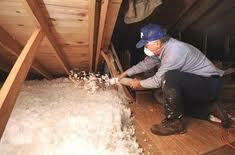 In order to convince homeowners to complete upgrades, energy efficiency needs to be desirable. Programs must make an emotional argument that can coax the elephant to action. The Community Energy Services program in Minneapolis, Minnesota, combines technical and financial assistance (to direct the rider) with efforts to create neighborhood norms around addressing energy efficiency (to motivate the elephant). This program is a promising model that could be a breakthrough to significant reductions in residential energy use. You can learn more about this topic by reading the full thesis, “Making Energy Efficiency Desirable: Lessons from a Cutting-Edge Program in Minneapolis,” written by Stephanie Stern. Posted on April 20, 2012, in energy efficiency. Bookmark the permalink. 1 Comment. I’m glad to see this blog and hear about the interesting EPP research going on in DUSP. Thank you for setting up this blog and sharing this work!